Congress is still holding the potential legal marijuana market hostage in Washington D.C. Could The District be the last frontier of prohibition strongholds? Marijuana legalization has been moving forward slowly but steadily in Washington D.C. but right before the Christmas break, Congress made a last-ditch effort to prevent further progress. Since Initiative 71 was passed in the Capital last year, District residents have been struggling to understand how the government intended for them to procure their marijuana. 2 Ounces, but From Where? Currently the law in Washington D.C. permits residents to carry up to 2 ounces of marijuana and cultivation of no more than 6 plants in a residents household. Unfortunately, if you do not have a green thumb or perhaps you rent from someone who does not permit marijuana cultivation in their building, there is no legal way to obtain marijuana—there are no dispensaries. Residents must either know someone who grows marijuana that would be willing to “share” some with them, or they must go to black market marijuana dealers to get their supply. Without clear regulation from the government in D.C., there is a lot of confusion amongst marijuana users. Of course they can sleep a little bit easier knowing that it is now legal to possess marijuana, but if they need the marijuana to sleep, and don’t know where to get it—aren’t they in a similar predicament? “Look at the anomaly, or hypocrisy, or outrageousness — call it want you want to — of being able to possess but then having to go to the illegal market in order to get it,” said Eleanor Holmes Norton, Washington D.C.’s non voting delegate in Congress. Congress approved the omnibus bill right before the Christmas break. The bill has provisions that allow the interstate sale of industrial hemp products—a victory for the CBD industry. But tucked away in the bill is a provision that bans spending in the District on any implementation of regulations that allow for the sale or promotion of a schedule 1 drug. Marijuana remains on the list of schedule 1 drugs that are deemed as dangerous for human consumption, potentially addictive, and without any medical value. Congress is in control of Washington D.C.’s budget. This is quite frustrating to tax payers who largely provide the budget for the District and who also favor marijuana legalization. If they had it their way, their tax dollars would go towards implementing a system of regulation that would provide them safe and legal access to medical marijuana. Congress, on the other hand, is vehemently against allowing government controlled marijuana sales in the District. 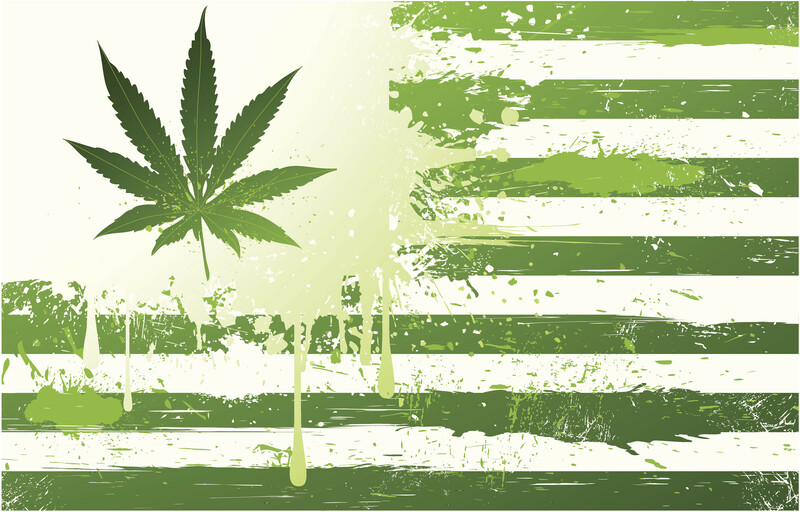 Perhaps Congress is holding on to the Nation’s Capital as their last stronghold of marijuana prohibition. Though marijuana is legal in the District, Congress still has some say in the behaviors surrounding legalization—specifically the spending. While we wait for federal level legalization of marijuana, it is a little concerning that Congress is reluctant to get behind it in the Capital. We will keep waiting and watching. Time is on our side, but why waste it—marijuana legalization at the very least is a financial cash cow that Congress certainly cannot ignore. What do you think about the changes in Washington D.C.? Let us know on social media or in the comments section below.